Size: 30 inches. 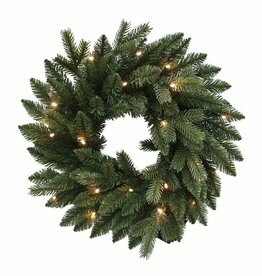 Colorado Pine Wreath. Darice Home Floral Decor Collection. Christmas Wreath Decorations and Decor by Darice. Size: 12 inches. Gold Metal Door Wreath Hanger. Darice Home Decorations and Home Decor. Holiday Collection. Holiday Wreath Displays Hangers and Stands for Display Collection. Size: 12 inches. Black Metal Door Wreath Hanger. Darice Home Decorations and Home Decor. Holiday Collection. Holiday Wreath Displays Hangers and Stands for Display Collection. Size: 18 inches Diameter. Pre-Lit Wreath with 160 Tips and 50 UL approved clear lights. Seasonal and Holiday Decorations - Visual Display, Pre-Lit Wreath Collections by Kurt S. Adler. Size: 24 inches. Pre Lit Wreath with LED light, Battery Operated with Timer. Darice Home Decorations and Home Decor. Christmas Holiday Collection. Christmas Wreaths Collections. Size: 24 inches. Darice Home Decorations and Home Decor. Christmas Holiday Collection. Christmas Wreaths Collections. Size: 22 inches. Darice Home Decorations and Home Decor. Christmas Holiday Collection. Christmas Wreaths Collections. Size: Gold Wreath Door Hanger w Snowflake. Decorative Door Hanger for Hanging your Christmas Wreath from you door. Seasonal and Holiday Decorations - Christmas Wreaths Hangers Collections by Kurt S. Adler. Size:14 inches. Gold Metal Wreath Hanger for Doors. Holiday Decor creations by Kurt S. Adler. Tinsel Wreath - Gold. Size: 24 inches diameter. Collection: Holiday Display. Katherine's Collection Decorations and Decor, Displays, Figurines and Collectible Dolls and Ornaments by Wayne Kleski. Katherine's Collection at Silver Lake. Size: 22 inches. Christmas Wreath. Darice Home Floral Decor Collection. Winter Decorations and Decor by Darice. Size: 24 inches. Mixed Pine Wreath. Darice Home Floral Decor Collection. Christmas Decorations and Decor by Darice.